The Oukitel K10 smartphone charges with 5A super ultra charger! Home Phones The Oukitel K10 smartphone charges with 5A super ultra charger! Oukitel has specialized in big battery smartphones, and it brings appropriate devices on the market. Some of which are pretty good, and we had a chance to test for example latest device called Oukitel K8000. 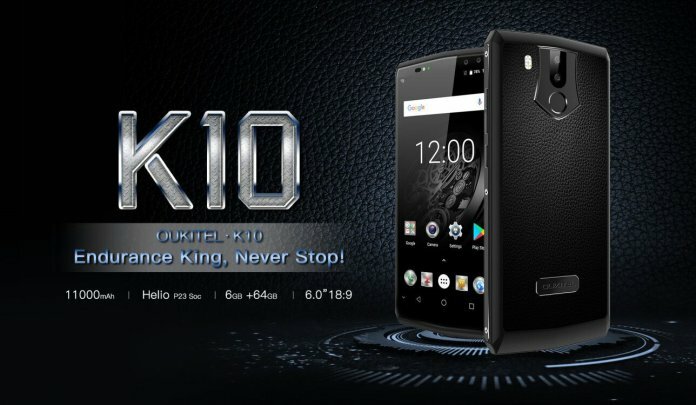 One of the newest creations is the Oukitel K10 with which wants to bring a larger battery on the smartphone market. So it has incredibly large battery with 11.000mAh capacity on board. But the processor and other features are also great like the 6 inch screen with 18: 9 ratio including high resolution 2160×1080 pixels. The extravagant design and the 6GB of RAM are are not the only advantage. As announced today, the Oukitel K10 will be delivered with a dedicated fast charger, which is charging at voltage of 5V and a current of 5A. These are the same values used by OnePlus for Dash Charge. 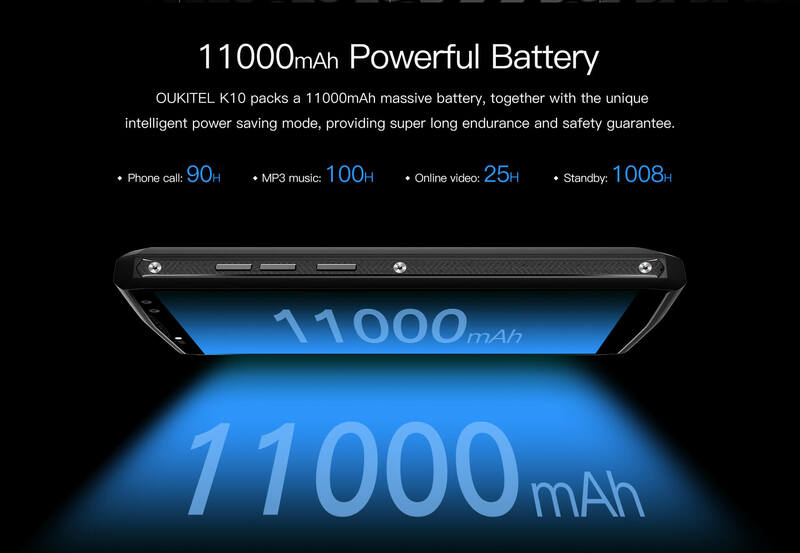 This should allow the 11,000mAh battery in Oukitel K10 fully charged within 2 hours and 50 minutes from 0% to 100%. You can also see a corresponding video below. Previous articleVernee X – face identification unlocks with your ugly face, and it has also 6GB RAM!